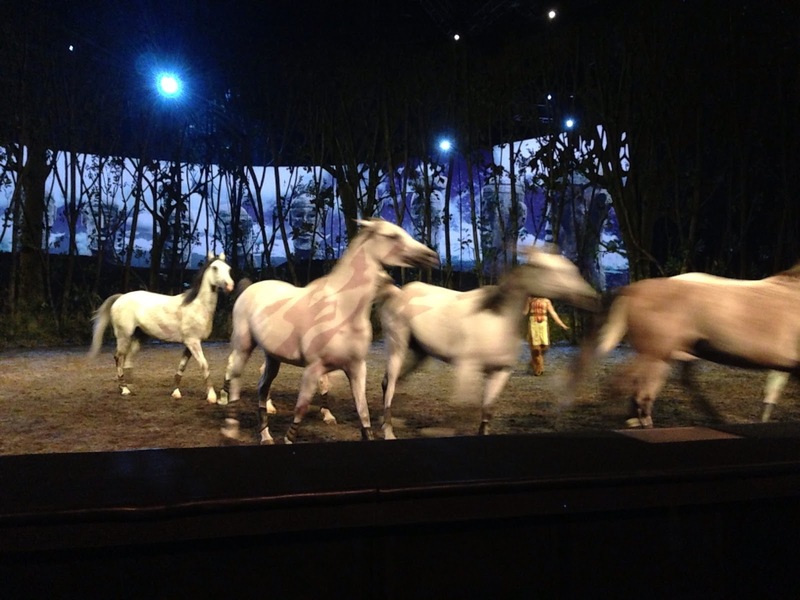 Welcome to Ward 5 Online: Odysseo is a Must-See! As a birthday present to myself (I turn 33 on Saturday), I purchased a ticket to see Cavalia’s Odysseo on Opening Night last week. Definitely, the best present I ever bought myself. 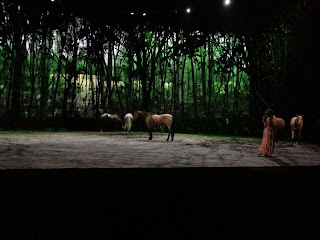 The show opens with a sheer curtain covering the main stage, but backlit, so audience members see the beautiful horses roaming around. 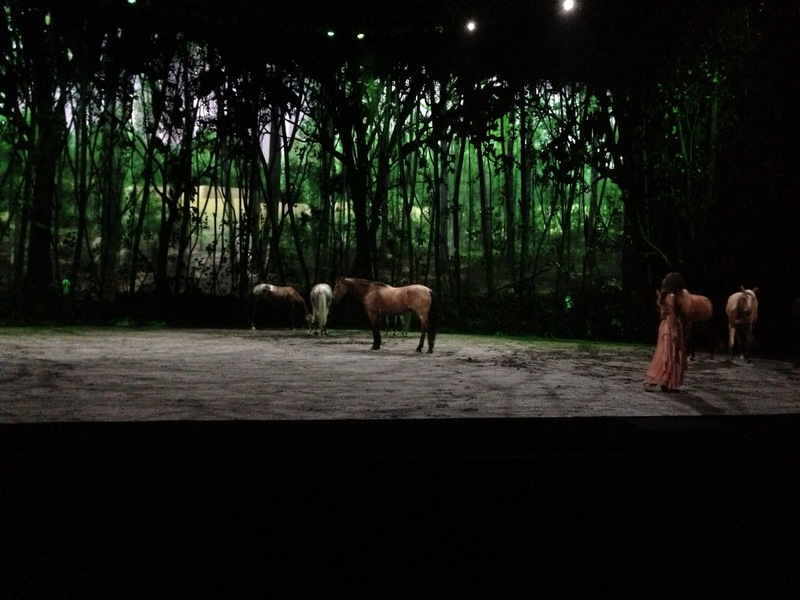 An actress begins singing as horses travel around the entirety of the performance area. All music is performed live throughout the show. Two side entrances, as well as, one in the back allow both the horses and performers to enter and exit the stage with ease, executing gold-medal worthy flips and horse riding techniques. As Odysseo progressed, so did the difficulty of the acrobatics performed with the horses. At one point, an actor climbed from the saddle, underneath the running Stallion and back to the saddle. I couldn’t breathe until I saw he was safely riding the horse again. The other acrobatics were reminiscent of Cirque du Soleil with performers swinging on giant metal rings, from pieces of cloth, and even dangling from the metal poles of a giant carousel. A changing backdrop sets the season and place for each performance which includes different geographical scenes and rotating designs and colors. Although slightly psychedelic sometimes, the smell of the stable is a constant reminder that the main attraction are the 63 horses that are used throughout the show. The 63 number includes 21 Stallions. As its finale, the main stage fills with almost 70,000 gallons of water to create a lake for the artists to perform on with the horses. For those of you wondering, the front row received towels to shield them from the splashing water. The last time I was this close to a horse, I was having lunch at the old Paddock Restaurant in Gilman Square. Odysseo brings together equestrian entertainment with visual and auditory arts that should not be missed. Get your tickets now! Awesome write-up Courtney and happy birthday! I'm going to see the show next week and I can't wait.